Previously 'Bad Hair Day'. New Look same great recipe. Barking Heads Chop Lickin' Lamb Adult Dry Dog Food is a nutritious and delicious diet formulated to improve the health and condition of your dog's skin and coat. Barking Heads Chop Lickin' Lamb Adult Dry Dog Food contains a unique blend of natural and digestible ingredients to nourish and protect, as well as promoting the physical condition of your dog through nurtured, reinforced skin and a glossy coat. 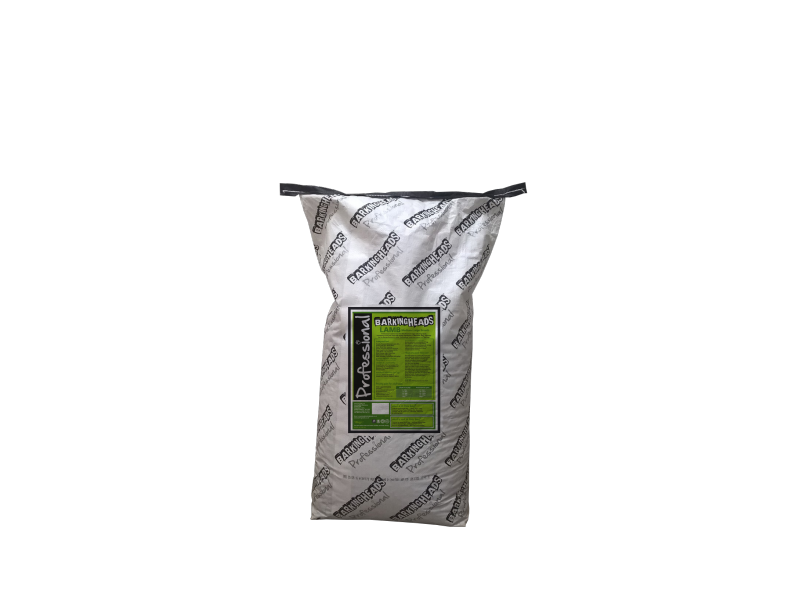 Contains a protein-rich formula that includes complex proteins, vitamins and carbohydrates, and a palatable blend of fresh, diced lamb (52%). Omega fatty acids not only support and lubricate joints, but they further enhance the condition and appearance of the skin and coat, ensuring a 'good hair day' everyday. 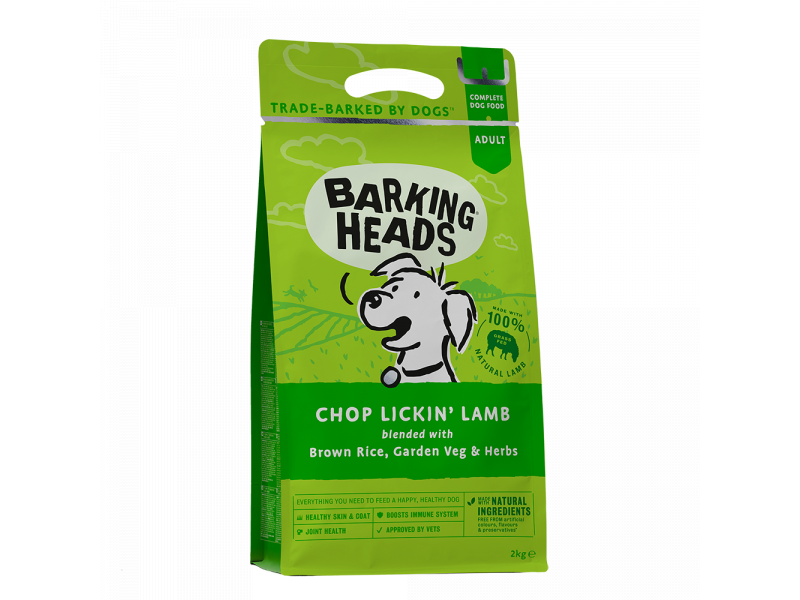 Now available is the Barking Heads Chop Lickin' Lamb Adult Dry Dog Food wet variety which contains fresh cuts of British lamb, brown rice, vegetables & herbs which have been gently steamed for a great taste. There are also no artificial colourings, flavourings or preservatives and no GM ingredients at all. Barking Heads "Chop Lickin' Lamb" is a hearty diet for dogs whose skin and coats are in need of some TLC. The diet is wheat and barley free to prevent allergies and contains glucosamine and chondroitin for skin and joint health. Nutritious and delicious, Chop Lickin' Lamb is highly digestible so won't upset or unsettle stomachs. For more information, please contact us. The following table is a guide to feeding Barking Heads Chop Lickin' Lamb Adult Dry Dog Food. All dogs are unique and other factors such as age, activity levels, growth spurts can have an effect on their nutritional needs. Please check with your vet that you dog is at their correct healthy weight. Although your dog may want to devour the whole bag we recommend that your introduce any new food gradually, replacing 25% of their existing food every day until they are eating 100% Barking Heads. Further supplementation is not recommended unless advised by a vet. 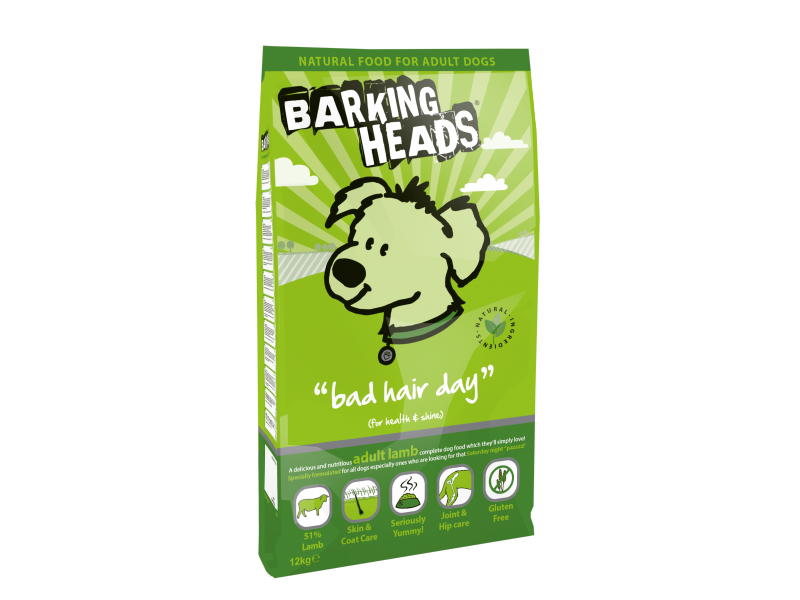 There are currently no questions for Barking Heads Chop Lickin' Lamb Adult Dry Dog Food - be the first to ask one!